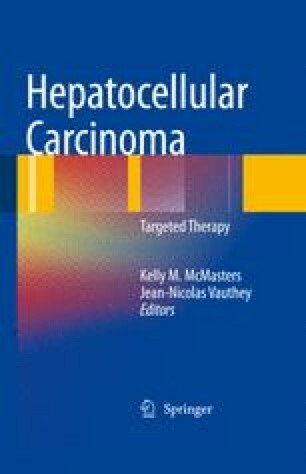 Hepatocellular carcinoma (HCC) is the most frequent primary hepatic tumor and the fifth most common cancer worldwide. The incidence continues to rise worldwide due to its association with hepatitis B and C viral infections. Cirrhosis is present concurrently with HCC in approximately 90% of the identified cases [1, 2]. Furthermore, the incidence of HCC increases with the severity of cirrhosis. Follow-up studies have identified HCC as one of the most common causes of death in the cirrhotic patient [3, 4]. The management of HCC, therefore, is based both on the stage of the malignancy and on the underlying functional status of the liver. Local tumor ablative techniques remain a reasonable treatment consideration for patients with disease confined to the liver who are not candidates for resection or transplantation.